Learn to swing your hips the Island Way! 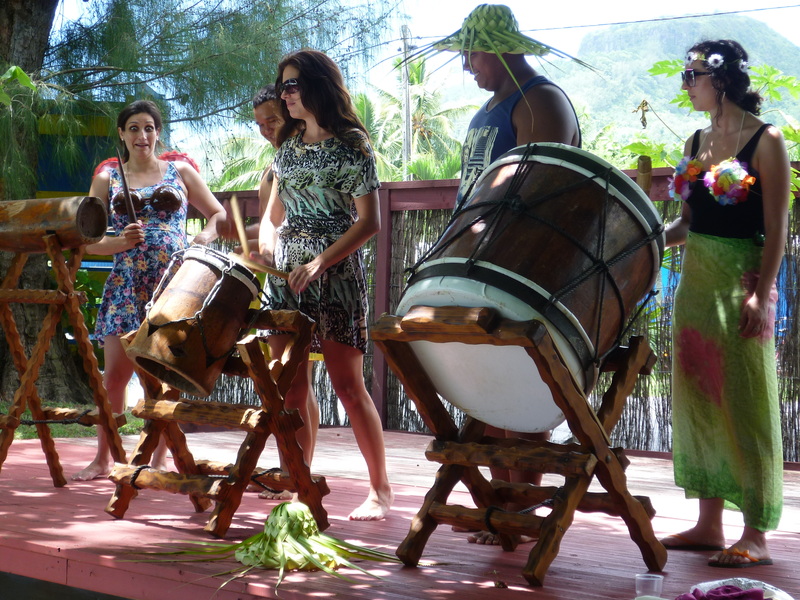 Experience a Cook Islands cultural experience by learning our Cook Islands dancing or playing our Cook Islands drum beats using our log drums with our professional Rarotongan dancers and drummers. 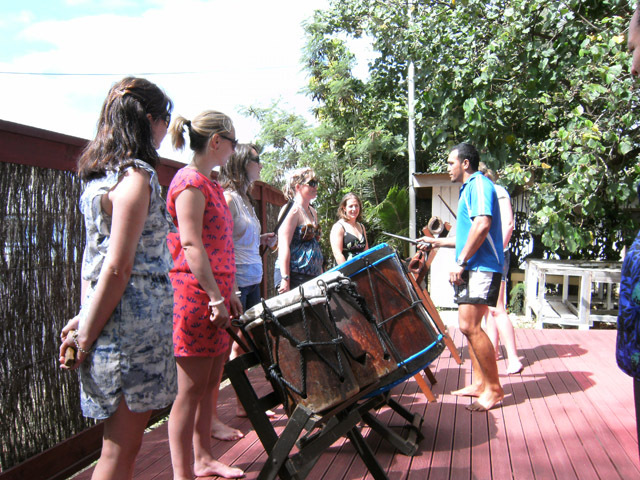 You can either take a Cook Islands Dance lesson, a Cook Islands Drumming lesson or a combined dance and drum lesson. Dance OR drum lessons take about 30 mins and dance AND drum lessons take about 1 hour. We require a minimum of two people per lesson but we also offer lessons for large groups. Lessons can be at our base at Kavera Beach or for a small fee we can come over to your location. A 24 hour booking in advance is preferred. Depending on the availability of our dance and drum instructors, dance lessons may be available between the hours of 9:00 am to 3:00 pm, Mon to Saturday. Other times can be arranged for requests outside these hours. Email us or come and see us at our base at Kavera Beach and let us know about your interests or time requirements.